The Florida A&M University (FAMU) Student Chapter of HERO was founded at Florida A&M University by Sade E. Collins. The chapter was established to connect students with healthcare professionals who could provide them with direct exposure into the world of healthcare while simultaneously affording them with the opportunity to perform a critical public service in communities of need. The primary mission of the FAMU chapter is to assist in delivering quality care and education to underserved populations in the Caribbean, including those living in rural and “inner city” areas. Additionally, the Chapter seeks to increase public awareness of existing health and educational disparities in the Caribbean, cultivate a desire among students to support the overall development of underserved communities, and provide an opportunity for students, healthcare professionals, and community leaders of different backgrounds to interact and build a sustainable public service network. We are a student organization dedicated to helping our members grow into well-rounded healthcare professionals through community service and cross- cultural immersion. 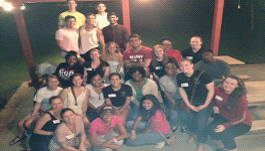 Our Chapter has a current enrollment of 30 active members, including our executive board and faculty representatives. Our partnership with H.E.R.O provides our students with the opportunity to network and obtain practical exposure in the field, while benefiting from the unique experience of serving in a developing country. Founded in 2002, the Florida State University (FSU) Chapter of HERO was established to provide interested students with an opportunity to work directly with professional healthcare providers in gaining exposure to the practical aspects of healthcare delivery in the field. The chapter was founded by then-student Michelle P. Wan, who has since gone on to become an Emergency Medicine Physician and Ultrasound Director, as well as a national board member of HERO. FSU HERO currently has a general membership of approximately 30 students, in addition to a seven-member executive board who are supported by an FSU faculty adviser. The mission of the chapter is to help students grow into well-rounded professionals through cross-cultural immersion and volunteer service in the Caribbean. In executing these missions, students support the work of volunteer specialists in providing basic health care to underserved populations including those living in rural and “inner city” areas. They also assist in raising community awareness of existing health and educational disparities in the Caribbean. Additionally, the Chapter seeks to provide an opportunity for students, healthcare professionals and community leaders of different backgrounds to interact and build a sustainable public service network. 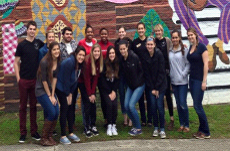 FSU students benefit immensely from our partnership with HERO: our student members have the unique opportunity to work side-by-side with practicing medical professionals in the field and experience patient care firsthand in communities of need. Students participating in HERO volunteer missions are also encouraged to strive for excellence in every facet of their work. In turn, our students serve as a reciprocal resource for the organization, providing invaluable support to HERO medical missions; students assist in organizing and operating the clinics and pharmacies while licensed clinicians assess patients and render professional services. This collaborative effort between FSU and HERO is inspiring a new generation of dedicated healthcare professionals with a global perspective who will continue to “give back” to communities of need in underserved regions of the world. For more information on the FSU HERO Student Chapter, please visit our website listed below.